We have spent the last 15 years split between living in Adelaide and travelling the World. We have over 20 years experience working in the outdoors tourism and event management industries and are totally passionate about mountain biking, South Australia, and what we want to provide for our guests. From an early time Ian knew he didn’t want a conventional job. After studying Oceanography at Uni he spent a while being nomadic, teaching Scuba diving, working as a snowboard guide and other random jobs. Ian first moved to Adelaide in 2002, and started exploring the Adelaide Hills on his mountain bike. In 2006 he headed off to the French Alps to work for 2 years as head MTB guide for a British adventure company, and during this time was able to achieve his Mountain Bike Leaders Award (MBLA) through British Cycling, which qualifies him to guide expeditions and lead and instruct bike riders around the world. This is widely regarded as one of the best MTB guiding and instructing qualifications out there- there is no Australian standard to this level, although we hope to help develop this in the future with MTBA. Ian has run Escapegoat in Adelaide since 2008, and in that time has helped hundreds of MTB riders to improve their skills, and many thousands to try mountain biking for the first time. He has also lead a number of expeditions to the Flinders Ranges, annual trips back to the French Alps, and expedition groups in New Zealand. 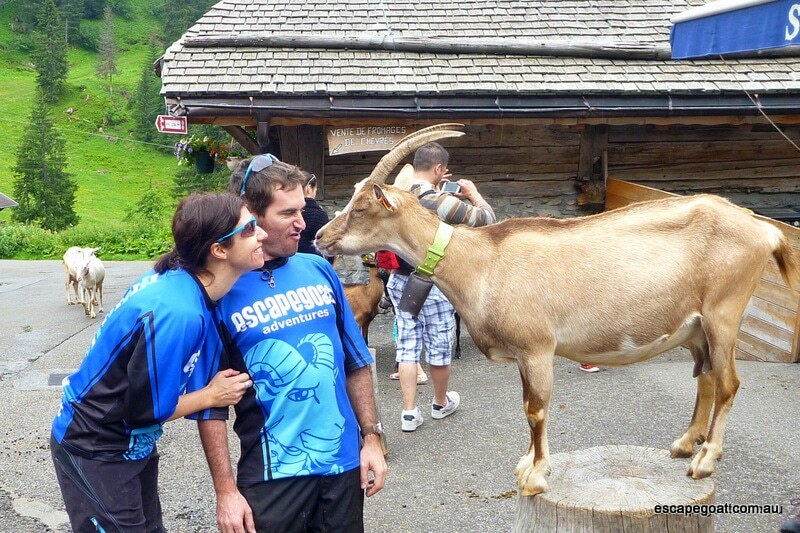 His passion for MTB Trail Advocacy has also lead to Escapegoat being the first (and currently only) MTB tour business to have a licence to operate tours in DEWNR conservation parks. He is now one of only a handful of instructors in Australia qualified to teach MTB coaches and runs Coach Training for MTBA, as one of their founding instructors. Ian is an occasional contributor to “Australian Mountain Bike” magazine and Flow mtb website, a past bike maintenance instructor for BikeSA, a key original committee member of the South Australian Mountain Bike Association (SAMBA), and also assists BikeSA and the DEWNR with various trails projects. 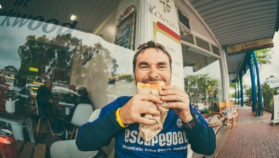 He is also a qualified Private Investigator, a keen mountain bike orienteer (2009 SA State Champion), adventure racer, and beer and wine drinker. 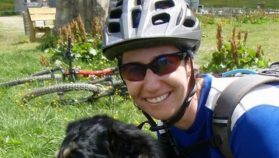 Deborah is a Social Worker, Mountain Biker, yoga lover, Mum and wife. Deborah’s passion to inspire people to be their best and to support them in reaching their goals has led her to a vibrant career as a Social Worker and Therapist. Combined with her love of adventure, she has worked for Camp Quality running their recreation and residential camps for children living with cancer and their families. She also worked at YWCA of Adelaide running Young Women’s Leadership programs. Since having children, Deborah has worked alongside hundreds of parents, both as a coach, counsellor, case manager and parenting workshop faciliator at Anglicare SA and the Department of Education. Being outdoors is part of Deborah’s make up. And her love for nature and how it can rejuvenate and restore the soul, is something she wants to share with others.